Lomé, Togo, 20 March 2019: The President of the Togolese Republic His Excellency Mr. Faure ESSOZIMNA GNASSINGBE has met today with the AU Commissioner for Infrastructure and Energy, H. E. Dr. Amani ABOU-ZEID and the Secretary General of the African Civil Aviation Commission (AFCAC), Mr. Tefera MEKONNEN TEFERA to discuss on the actions to fast-track the operationalisation of the Single African Air Transport Market (SAATM). During the meeting, His Excellency the President, accompanied by the Minister of Transport of Togo, H.E. Ms. Zourehatou KASSA TRAORE, and his Special Advisor Mr. Girma Wake, was updated on the progress that has been made on the implementation of the SAATM and the way forward. In the ensuing discussion, the Commissioner for Infrastructure and Energy, Dr. Abou-Zeid highlighted the progress made on the establishment of the SAATM and appointment of the Secretary General of AFCAC. The Commissioner provided updates on the number of States that have joined the SAATM as twenty eight (28), the holding of the first continental workshop on the Yamoussoukro Decision (YD) Regulatory instruments which are the Powers and Functions of the Executing Agency of the YD, Competition Regulations and the Consumer Protection and on the ongoing process of finalising the Dispute Settlement Mechanism which is now targeted at the July 2019 AU Summit. Going forward, the Commissioner shared the AUC’s proposal on the enhancement of political advocacy at the level of Heads of State and Governments, establishment of Region SAATM Champions for the five AU regions and the need to expedite harmonization of regional aviation policies as well as working with strategic global partners. The Secretary General of the African Civil Aviation Commission, Mr. Tefera Mekonnen thanked H.E. the President for his support to the resources mobilisation efforts and strengthening of the executing agency. Mr. Tefera also informed H.E the President of the ongoing efforts to reach out to international and strategic partners and outlined the triennium Strategic Plans for SAATM including capacity building on the YD regulatory Texts at the Regional Economic Communities (RECs) level and plans to fully staff the Executing Agency with the support from the African Development Bank. The Champion appreciated the high level action plans discussed and emphasized on the need to finalize the adoption of the dispute settlement mechanism for the Single African Air Transport Market. He also congratulated the Secretary General and assured him of his continued support. This second high level consultative meeting with the Champion was concluded with an agreement of a strategic high level action plan for accelerating the operationalisation of the SAATM. 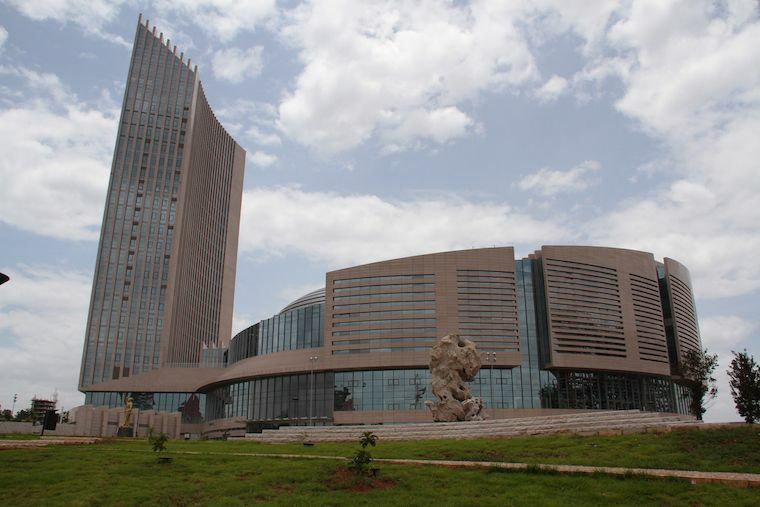 SAATM is the first flagship project of the AU Agenda 2063 launched officially during the 30th Assembly of Heads of State and Government in January 2018 and it is expected to facilitate the operation of the African Continental Free Trade Area, boost inter African trade, stimulate job creation and enhance connectivity as well as tourism on the continent therefore contributing to the achievement of the integration agenda of the African Union. The number of member States in the market is expected to increase to forty (40) by the end of 2019.